2-Person Inflatable Tube Just $19.33! Down From $40! You are here: Home / Great Deals / Amazon Deals / 2-Person Inflatable Tube Just $19.33! Down From $40! At Amazon, you can score this 2-Person Inflatable Tube for just $19.33 down from $39.99 PLUS FREE shipping with Amazon Prime or for orders $25 and above! The Bestway Rapid Rider X2 Inflatable Tube is an excellent choice for floating in a river, pool or lake with a friend. Constructed using durable, high-gauge PVC material, the Rapid Rider is a safe and comfortable choice on the water. This inflatable float comfortably seats two people and features a built-in backrest for additional comfort and support, 2 cup holders and a woven mesh seating keeps you cool. The heavy duty handles and the all-around grab rope make it easy to mount from the water. 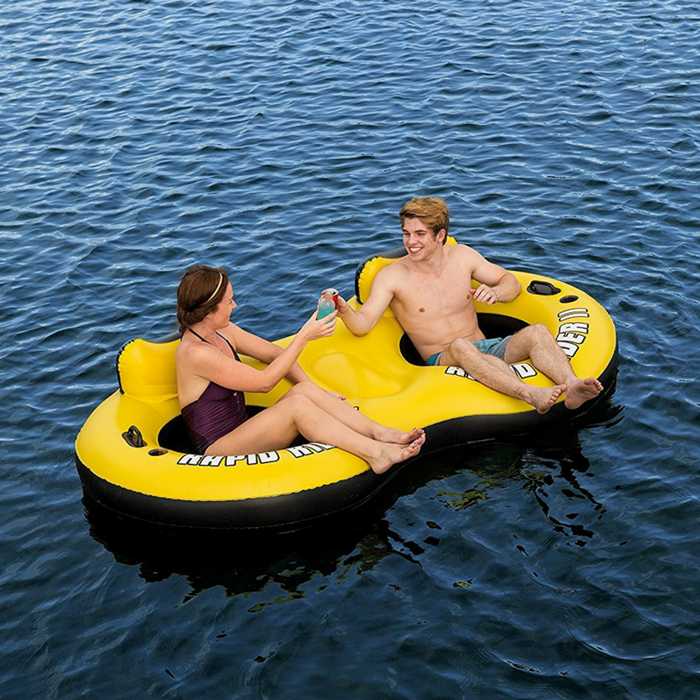 Recommended for adults, this two person pool float is a great way to enjoy your time with friends at the pool, beach or lake.